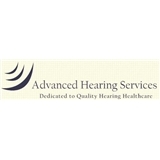 Advanced Hearing Services (Irvine) - Book Appointment Online! Jennifer is consistently professional and maintains her office with every new technology. My father, 99 years old is very comfortable with her care and expertise. She has a gentle, extremely kind manner. I have enjoyed her professionalism for several years now.